The Magpul MOE hand guard is an ergonomic, lightweight unit designed to enable effective control of an AR-15 under stress. The trapezoidal cross-section and gripping ridges enable a secure hold on the weapon in rapid or auto fire and the hand is protected by an aluminium heat shield and a front lip and side extension prevent the hand touching the hot gas block or barrel. during sustained rapid fire. The integral aluminum heat shield of this MOE M-4 hand guard protects hand from the hot barrel, while side extensions and a pronounced lip at the front edge prevent the hand from slipping forward onto the hot gas block. Accessory rails or an MOE illumination kit can be bolted on to the MOE AR hand guard at the 2, 6 and 10 o’clock positions to enable the mounting of lamps, lasers or other accessories. This two-piece unit fits carbines and rifles with a Delta ring and either round or triangular handguard caps. No gunsmithing is necessary to fit the snap-on MOE handguard. As with most Magpul products, immensely tough fiber-reinforced polymer construction is used which is heat and impact resistant and ideal for an M-16 hand guard. Three MOE handguards are available to suit carbine, mid-length and rifle length ARs. 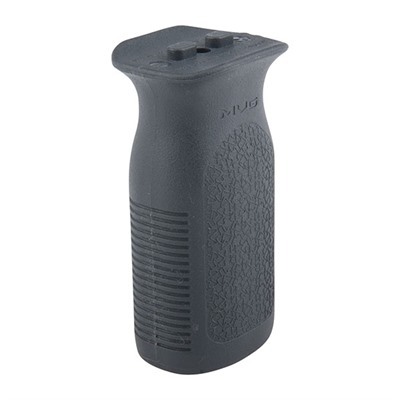 The Magpul MOE hand guards are available in Black, Dark Earth, OD Green and Foliage Green. Carbine – 7″ (17.8cm) OAL, 2¼” (5.7cm) wide, 2¼” high. 6.2 oz. (176g) weight. Requires 63⁄8″ between Delta ring and handguard cap. Rifle – 12½” (32cm) OAL, 2¼” wide, 2½” (6.4cm) high. 12.1 oz. (343g) weight. 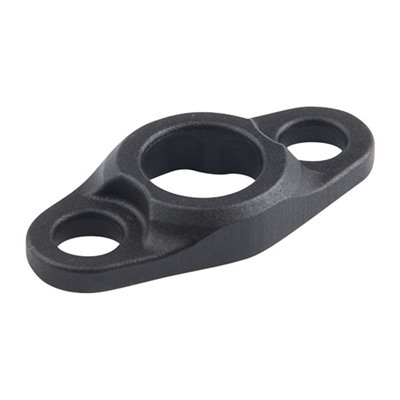 Requires 11½” (29.2cm) between Delta ring assembly and handguard cap. Mid-Length – 9¼” (23.4cm) OAL, 2¼” wide, 2½” high. 8.7 oz. (247g) weight. 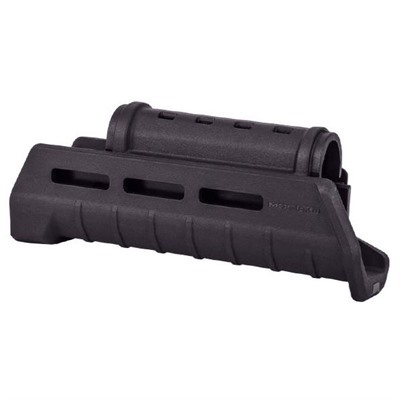 Requires 83⁄16″ between Delta ring assembly and handguard cap. 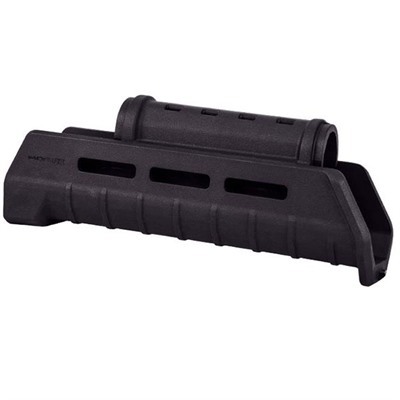 Check the price of the Magpul MOE hand guard at Brownells, a name you can trust. You may find this video of the Trijicon Accupoint scope of interest. Full disclosure: If you purchase from Brownells I will be paid a small commission. This will help keep this site online and will not affect your purchase price. This entry was posted in Hand Guards and tagged AR15, M16, M4, Magpul. Bookmark the permalink.